NASHVILLE (BP) — The U.S. District Court for New Mexico has dismissed all claims in a lawsuit against LifeWay Christian Resources, the Southern Baptist Convention and its Executive Committee, and the Glorieta 2.0 ministry that bought Glorieta Conference Center from LifeWay 18 months ago. Federal Judge James O. Browning issued the rulings in a suit filed by an Arkansas couple, Kirk and Susie Tompkins, who had been leaseholders at the conference center. Within hours of the ruling, the Tompkins filed notice of appeal to the U.S. District Court of Appeal for the Tenth Circuit in Denver. The case, dismissed with prejudice in legal terminology, cannot be re-filed. This entry was posted in Home and tagged Executive Committee, Glorieta Conference Center, James O. Browning, LifeWay Christian Resources, Southern Baptist Convention, U.S. District Court for New Mexico. Bookmark the permalink. Even though a judge has dismissed this case primarily on procedural issues my prayer is the appeal will allow for the facts to be presented to a jury. The greed of Lifeway leadership brought down Glorieta Retreat Center. 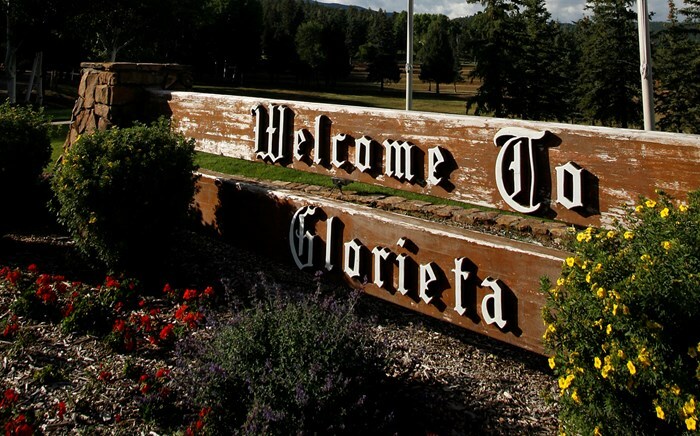 For over 35 years I personally experienced Glorieta as a ministry. For countless evenings in the summers I experienced worship services in that beautiful sanctuary packed with ministers of music and church choir workers, doors open often with overflow seating outside. I remember as a child thinking that the roof would literally fly off the sanctuary from the hymns of praise during worship. Glorieta Retreat Center was a place where pastors and church workers could come to the various conferences and retreat, recharge, and plan for the upcoming years ministry. It was a place of untold beauty staffed by the most wonderful people I have ever met. The conference experience was totally focused on experiencing God. But something changed and within a few short years the focus changed from ministry to profit. Instead of experiencing God, it was about experiencing Lifeway. In order to pursue profitability the costs became on par with the commercial resorts that I supposed Lifeway leadership frequented. Did Lifeway not realize that most SBC churches are 300-400 in size. Lifeway leadership making hundreds of thousands of dollars in salary and benefits a year and are so out of touch with what an average pastor with family survives on that apparently they saw no problem with the skyrocketing costs of attending a Lifeway conference. The numbers of attendees quickly dropped and with it the support of Glorieta. I watched over the years at the many failed attempts to convince people to invest in timeshares, golf course, and all the other crap that are a dime a dozen in our society. Lifeway even turned to a Las Vegas hotel employee to lead Glorieta to profit. Lifeway was clueless, ministers and church workers wanted a retreat not a resort. I watched the wonderful staff of local New Mexico residents, many having made a career of enabling the ministry of Glorieta, being treated like dirt. Many fired with less than a year before retirement and then threatened with lawsuits by Lifeway if it was brought to light. I shed tears over those friends that Lifeway wronged in pursuit of PROFIT! Once again Lifeway has proven incapable of treating people with even the simple decency and rightness that prevails in society, much less what one would expect of an organization profiting on Christ.